As a building supplies organisation with potentially thousands of trade customers all seeking the best product for the best price, how do you ensure that your brand is front and centre in the minds of your trade customers when the time comes for them to buy? Client attraction is just part of the challenge. How do you keep your trade customers coming back for more, with so much choice in the market? Let’s face it, tradespeople have a lot on their hands – they have to run their business as well as carry out the hard graft. Juggling administration with on-site work can be a struggle. So, what if their estimation process could be made much easier and convenient, and at the same time increase your brand awareness and loyalty? Revolutionising how you interact with your trade customers and their estimation process could be the ‘silver bullet’ to solving both problems. 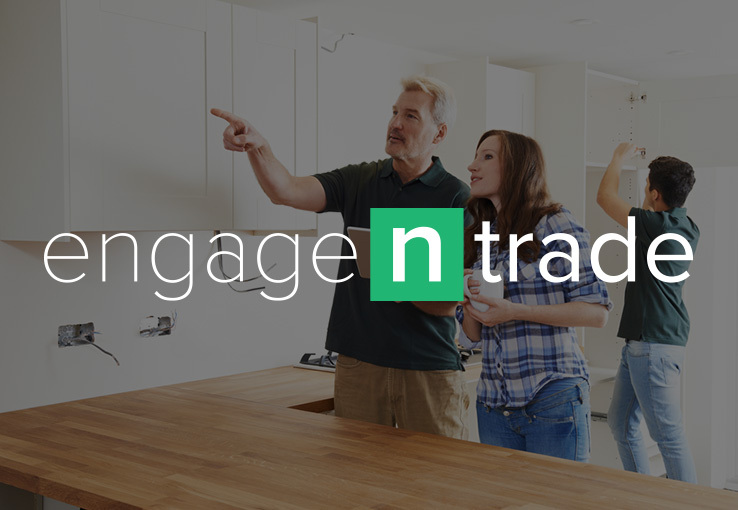 Engage n Trade is a customer engagement mobile platform that your trade customers can use to quickly create their own quotes using your products and prices, order all the goods from you and then produce their client’s invoice, all in one single mobile app. Streamline the process of your trade customer’s quotation and ordering. Allow tradespeople to search your product catalogue and price your products into their quotations automatically. Place orders straight from the app to your store. Provide access to unique analytics on your trade customer’s behaviours. By making life easier for your trade customers, you can build client loyalty, grow market share and increase revenues through the convenience of a mobile app. For more information on Engage n Trade and how it can help your organisation, go to www.engagentrade.com and download the ‘frequently asked questions’ pdf. Alternatively, email info@pulsion.co.uk or call us on 0141 352 2280.